» Can Cats Eat Mushrooms? Does your cat like mushrooms on their pizza? Seriously though, while cats probably shouldn’t be eating pizza, you might be wondering if it’s okay for your cat to eat mushrooms. Or maybe you caught your cat eating some mushrooms and are worried if they will make him/her sick. Normally, I like to make the big reveal as you read through the article. But, in this case, let’s cut to the chase– if you’re reading this because your cat just ate wild mushrooms from the outdoors, this could be a medical emergency and you should contact your veterinarian or animal poison control center immediately. Certainly, not all wild mushrooms are poisonous, as any expert mushroom hunter can attest and many people obviously eat store-bought mushrooms every day. So, what’s the story on grocery-store mushrooms and cats? If you’ve read some of my other posts, you’ll know I’m big on pointing out that cats are obligate carnivores. This means that in the wild, meat is the only food cats really need to eat. Cats simply don’t need to eat vegetables to keep healthy. In fact, cats usually are unable to derive any nutrition at all from plant materials. But, what about mushrooms? As you most likely know, mushrooms aren’t vegetables. They are not even plants. Mushrooms are actually a type of fungus. And, as the video below shows, some cats really like mushrooms. But even if your cat likes mushrooms, are they good for cats to eat, or are mushrooms poisonous to cats? The short answer is vague unfortunately as it really depends on several factors. While the kinds we find at the grocer are not poisonous to cats, many wild species of mushrooms can be. So, when we talk about cats eating mushrooms, we must be careful to distinguish whether we are talking about store-bought “people-food” mushrooms, or potentially dangerous wild mushrooms. Cats can eat store bought, “people-food” mushrooms. They may even be good for cats, in limited quantities. Foods like potatoes and mushrooms, unlike plants, are relatively high in crude proteins and amino acids. Though they do not provide the levels of protein, vitamins or minerals found in meat, mushrooms are a great low-calorie source of many nutrients. As long as your cat is getting enough meat in their diet, a few store-bought mushrooms now and then won’t hurt them at all and could provide a number of important nutrients. As for wild mushrooms, unless you are a mushroom expert, and are willing to risk your pet’s life on it, don’t ever feed wild mushrooms to your cat. 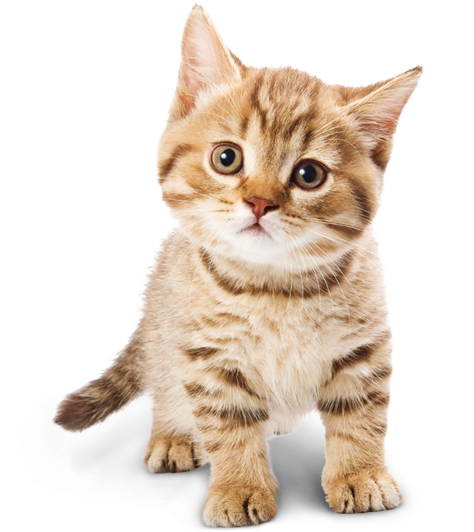 Kittens tend to be even more susceptible to things that adult cats are sensitive to because kittens are tiny and have not yet fully developed their immune systems. Most likely, any wild mushrooms that would make an adult cat sick would have a good chance of being fatal to kittens. Just like with a cat, you should never allow a kitten to eat wild mushrooms. After a considerable amount of looking, I could not find any reports of kittens being sickened from eating store bought, “people-food” mushrooms. That being said, it certainly seems possible that eating too much of these store mushrooms could cause your kitten to have an upset tummy or loose stools. Mushrooms have fiber and other components that are foreign to the meats that cats usually eat. If you’re a determined to have “people-food” mushroom eating cat, I would wait until they are on the older side of kitten-hood and then start with teeny amounts, maybe even just a taste every now and then. As mentioned previously, store bought, “people-food” mushrooms could be a healthy treat for cats that enjoy them. Since mushrooms are not a normal part of cats’ diets, it’s likely that too many mushrooms could be a recipe for minor indigestion for some cats. By contrast, wild mushrooms can be poisonous, and even fatal, to cats. There are many different types of poisonous mushrooms and the particular toxins they contain may vary by mushroom species. That means the symptoms a cat might experience from eating a wild mushroom would depend on which species of mushroom they ingest. Once again, if your cat has eaten wild mushrooms, this could be a medical emergency and you should seek assistance at once. There is one other group of mushrooms which needs to be mentioned. These are the psilocybin or psilocin mushrooms that are popularly known as “magic mushrooms.” Some people take them for their hallucinogenic effect. In other words, “shrooms,” as many call them. “Magic mushrooms” are important to mention because these are some of the few non-“people-food” mushrooms veterinarians occasionally see cats eating. People who take these recreationally can leave them in their house or apartment where a pet can get to them and possibly eat them. While they are not poisonous in the sense of being toxic, animals under the influence often cause injury to themselves. Cats should clearly never be given access to hallucinogenic mushrooms, they can do a number on their tiny bodies. It may even look like your cat has autism. Adult cats are fine to have a little bit of store-bought mushrooms from time to time. But, how about trying a meat-based food specially made for pets that contains an organic mushroom blend? And, if you really want your cat to “trip” there is nothing better than catnip for putting a smile on your cat’s face. So, Can Cats Eat Mushrooms? Now you know that cats can eat store bough “people-food” mushrooms, but should never, ever eat wild mushrooms. Wild mushrooms can kill a cat. Store bought mushrooms can be a healthy treat for cats, if they like them. But, you can always try a meat-based mushroom meal made just for your pet. And, if you want your cat to have a little fun, there is nothing in the world like catnip to make your kitty really happy. Truth is, every vegetable has an interesting nutritional impact on cats. Whether it be peas, broccoli, mushrooms, or something else, they’re all a little different. Do you have a furry friend who enjoys canned mushrooms? Have you had experience with your cat trying mushroom blend pet food, and did they like it? Please tell us in the comments below, we’d love to hear from you.